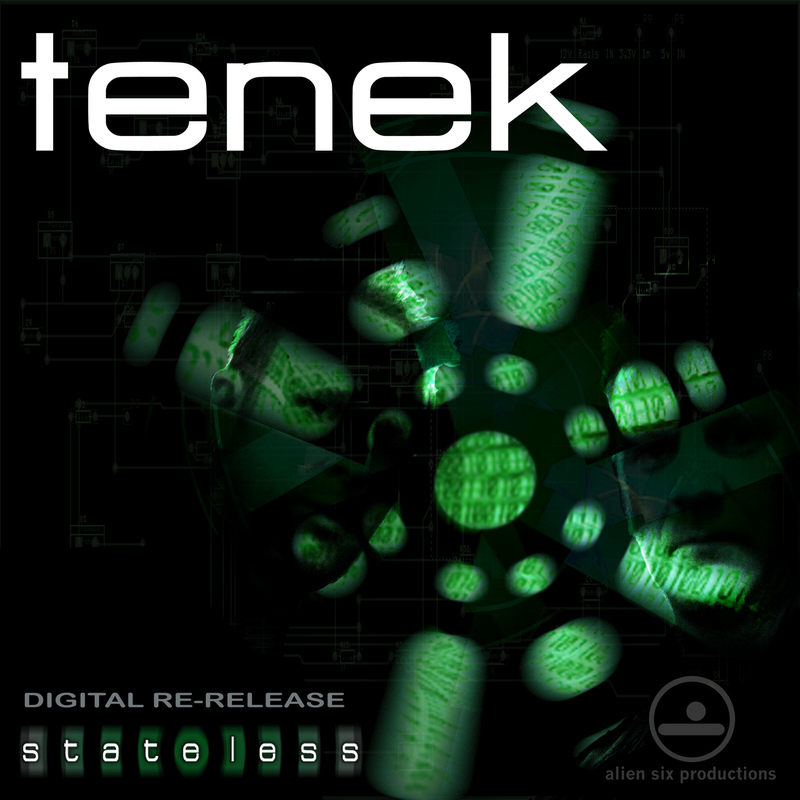 Back by popular demand and on the 9th year anniversary of tenek’s debut album, ‘Stateless‘ has now been made available once again to the public in DIGITAL format ONLY via the band’s imprint label (Alien Six Productions) + two previously unreleased BONUS REMIXES that were only available on a ‘Club Promo’ CD (No Time For Fighting – JAB KO Remix Full, and Breakdown – Electric Petal Remix by Glen Wisbey). Having fought to be themselves through many different guises (Glasshouse, The Nine, Alien 6). A combination of anger, pop, frustration, electronics, bewilderment and sheer determination bark out at you in every song. The music is gloriously electronic, the songs are contagious, the influences are worn proudly like medals of honour and most importantly the listener is left feeling part of something, something that is no longer Stateless… [Released in 2009 by Toffeetones] – CD no longer available! *Be sure to keep an eye out for additional Digital Re-Releases coming soon!